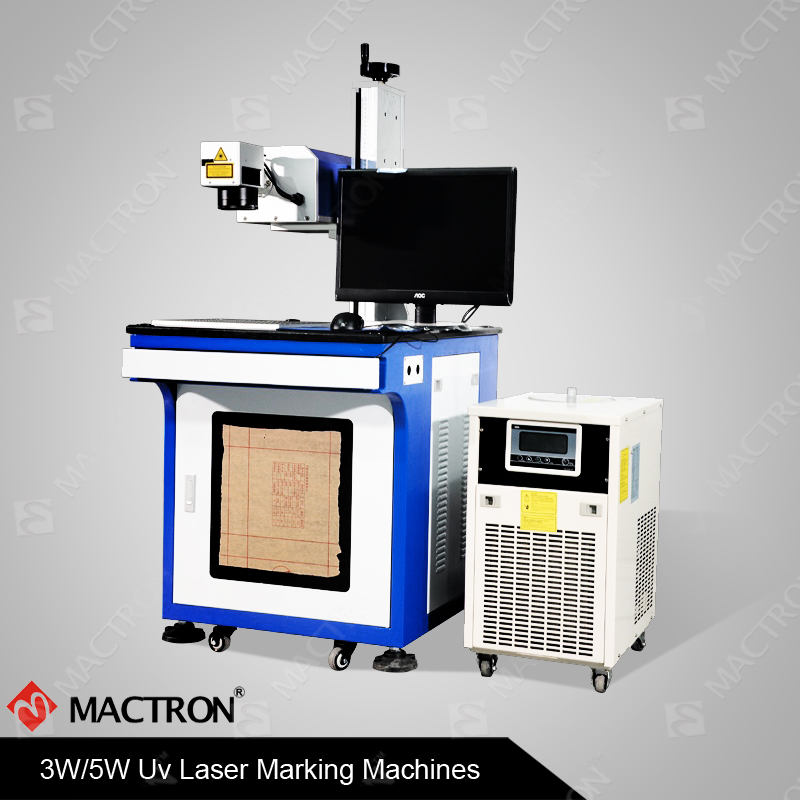 MT-UV 3W/5W series of UV Laser Marking Engraving Machine adopts superior performance imported ultraviolet laser generator since the ultra-small focusing spot of 355nm ultraviolet light and Processing heat affected zone is negligible. UV Laser Marking is suitable for processing those materials that have a big reaction to thermal radiation. 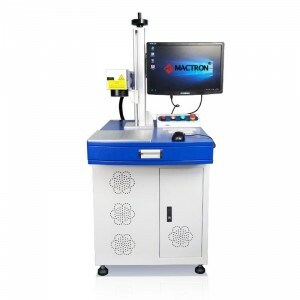 UV Laser Marking Engraving Machine is mainly used to mark, engrave and cut for special materials and meet the requirement of marking ultra-fine. It is widely applied in ultra-fine laser process of the high-end market. Let’s take a look at a UV Laser Marking on Phone Charger’s Process Video. And Let’s take a look at another video of laser marking engraving on transparent glass. 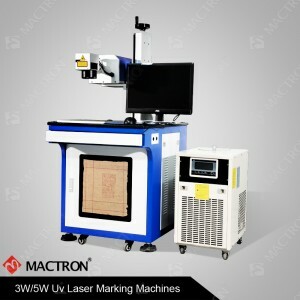 In terms of appearance, the MT-UV series UV laser marking engraving machine adopts closed processing for vertical sliding door design and adopts high-quality organic glass that is specially used for filtering protection as a dedicated observation window for excellent overall protection performance. Automatic lifting, autofocusing and rotating functions are optional. 1. 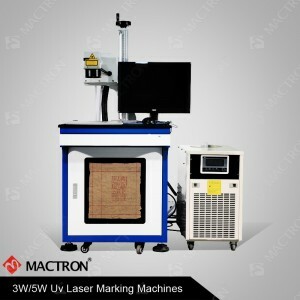 The whole UV laser marking engraving machine‘s warranty is 1 year. Any parts have a quality problem during the warranty period, We will send you a new replacement for free. And Customer affords the replacement shipping cost. 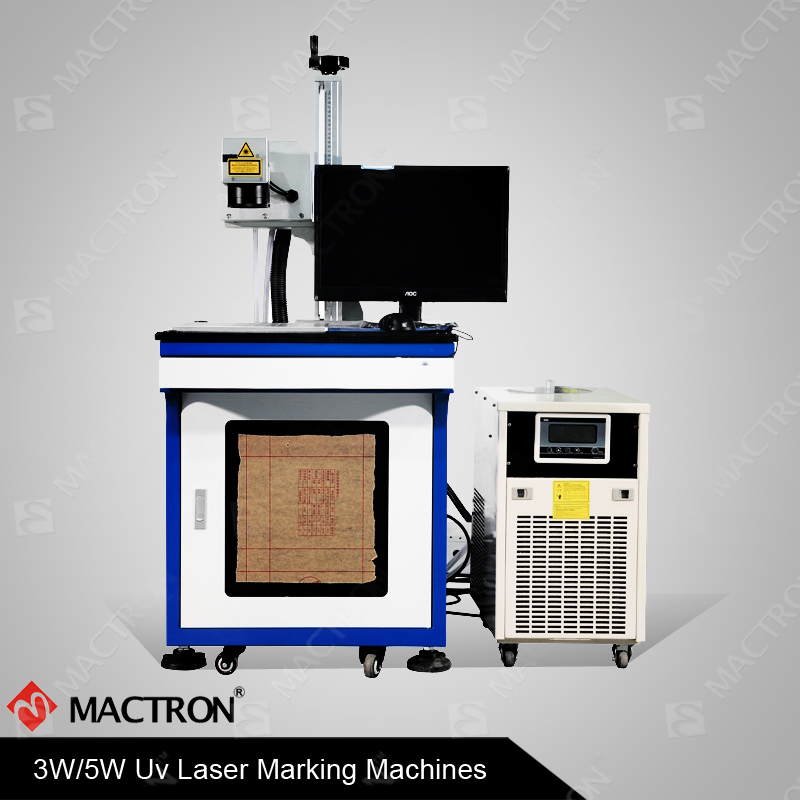 The UV Laser Marking Machine is applicable for marking on various kinds of plastic materials(PCB boards, phone chargers, camera covers, USB flash surface, caps, plastic bottles, plastic bags, ABS covers, Rubber etc), and glass materials(glass bottles, glass cups etc).